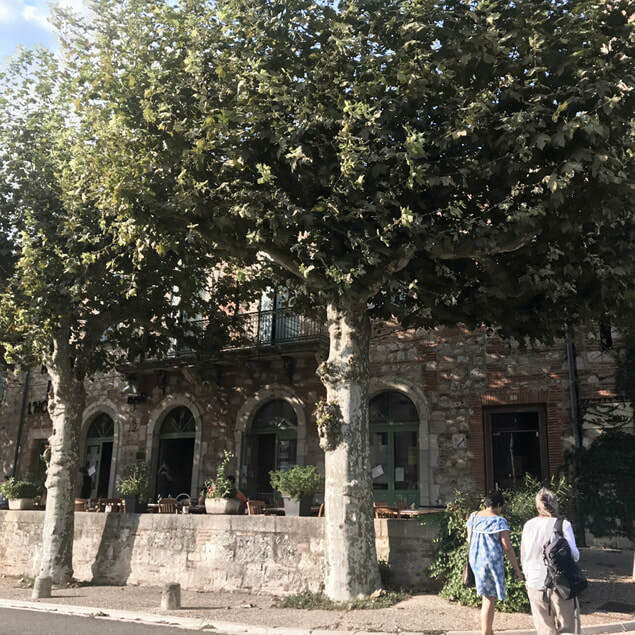 Auvillar is a quintessential village of the Midi-Pyrénées region, and has been awarded official status as one of France’s Most Beautiful Villages. 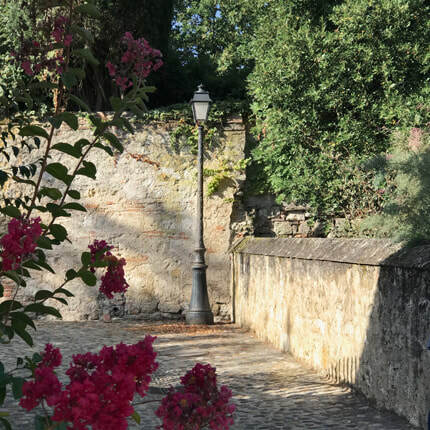 It lies on the pilgrim route of the Camino de Santiago de Compostela and attracts many artists who come to paint the beautiful buildings and surroundings, or to take inspiration from its long history and culture. 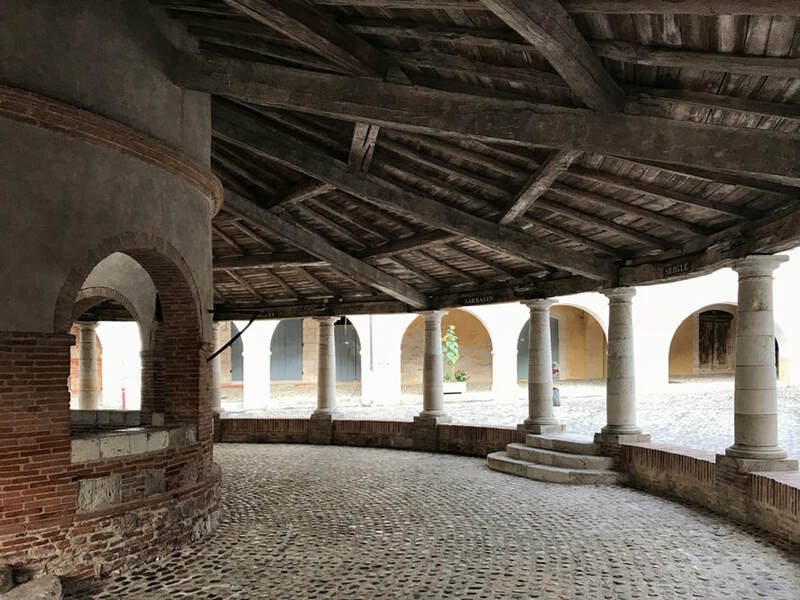 It boasts multiple museums and art galleries – astounding for a village of its size – together with bars, restaurants, artisan gift shops and a regular Sunday market offering local produce, artisan food and crafts. 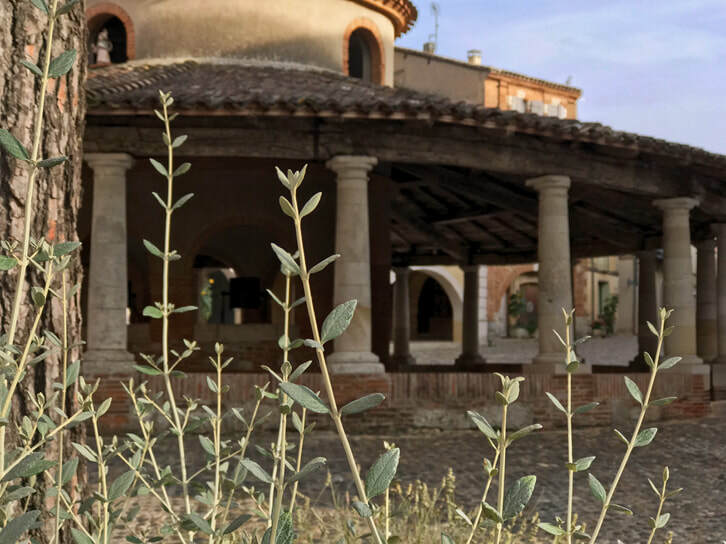 The name 'Au-villar' comes from ‘haut villa’: a reference to the Roman site of Alta Villa on which it is built. 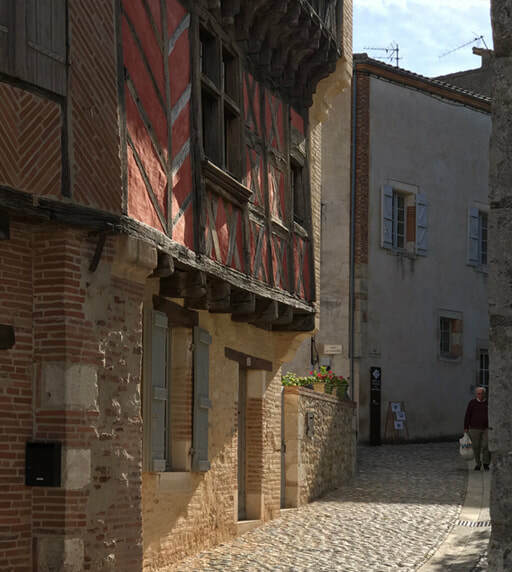 ​Perched at the edge of Auvillar, as part of the ancient wall, sits Le Presbytère, with its walled garden, balconies and elevated views over the river Garonne. The old presbytery has been converted into a beautiful dwelling for visitors, offering simple, clean and charming accommodation. The perfect venue for a retreat. You will be sharing a room – there are no single rooms available on this retreat – and bathrooms, although ample, are not en-suite. 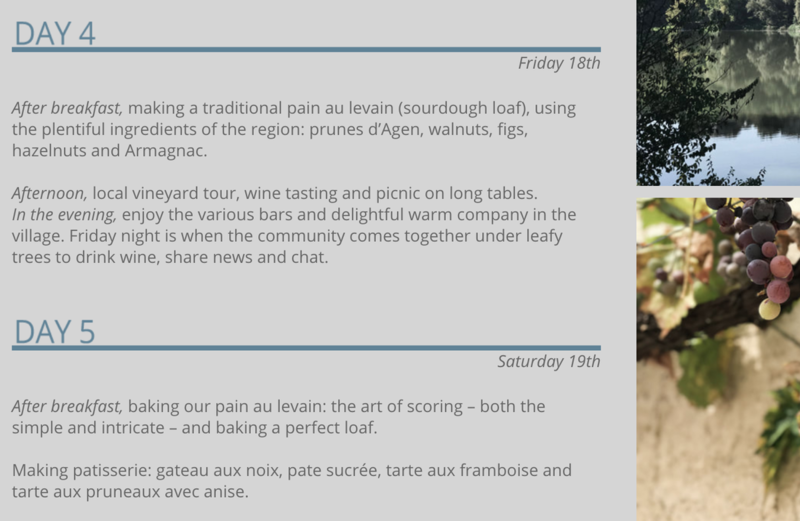 ​As part of a small group learning, cooking and dining together each day, we hope the setting will add to your enjoyment of the atelier and the friendships you will make. If coming with a partner/friend and you require a private twin room, this can be made available. Rooms for parties of 3 or 4 also available. We will tour a local vineyard where we will taste the local wines and eat ‘en plein air’ on long tables next to the vines. And finally, on the last day of your retreat, we will hold a party in the presbytery garden to celebrate your time in Auvillar, all that you have learnt and the friendships you have made. And, as is fitting, we will invite our friends from around the village who have been so helpful in putting together a wonderful stay for you all. * We will be pleased to cater for vegetarians but regret this atelier will not be suitable for vegans. Places on the retreat are priced at £1360 per person - this price includes accommodation, meals, wine, excursions, teaching, and materials. Flights and transfers from airports are not included. Rooms available for parties of 3 or 4, so do advise if booking as part of a group. A limited number of private twin rooms are available. Please advise if booking as a couple or friends and we will make the necessary arrangements. No single room supplements available. All individual bookings will be in a shared room. Non-refundable deposit of £340 (25%) to be paid upon booking. Balance due 1/9/19. 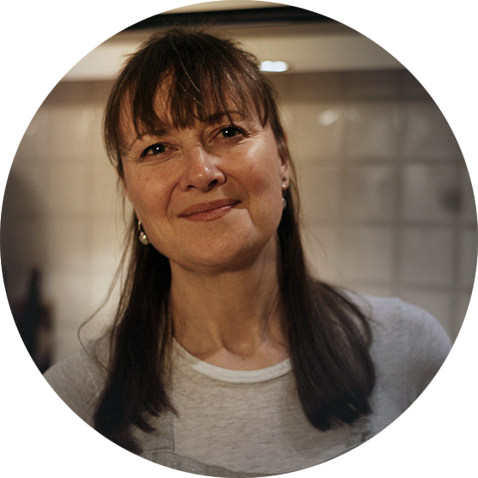 White Cottage is an artisan bread and baking school run by award-winning sourdough baker Helen Underwood. ​Based just outside of Cambridge, we offer workshops for all skill levels—so whether you're a complete novice or an experienced baker, we have a workshop for you!